Watch out, NOLA — there's a new hotspot in Louisiana that's spicing things up. 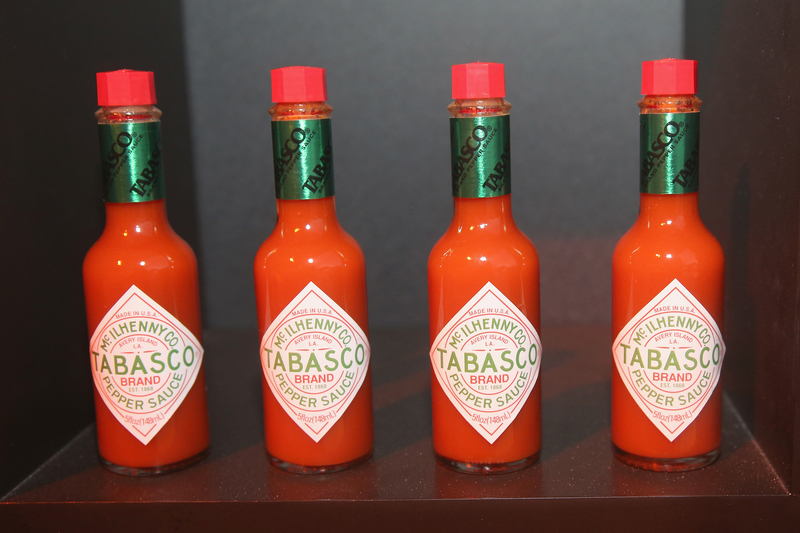 Tabasco restaurant 1868 opened this week, and it exclusively uses the brand's fiery products throughout the menu. Named 1868 to honor the year the leading hot sauce company was founded, the cafeteria-style eatery is located at Tabasco's headquarters and birthplace in Avery Island, Louisiana. For now, the menu consists of Cajun- and Creole-inspired dishes that utilize some (or all) of Tabasco's seven hot sauce flavors, but the establishment's managers have hinted that they'd like to add more variety later on to attract an international crowd. Currently, menu prices range from $7 to $12, making it an affordable option for spice fans. And if that's not enough to get you fired up, Tabasco plans to open a museum and expand its visitor tours after the restaurant has been in business for a few months. Tabasco's behind-the-scenes tours have experienced a hiatus since the early '80s, but when the operation launches, guests will once again have a multi-sensory experience as they're able to learn about the three-year aging process, packaging, advertising, and more. The business prides itself on being family-owned and operated for five generations, so the museum will include history about Edmund McIlhenny, the hot sauce's creator, artifacts, and information on the seed-to-table procedure. Now open from 9 a.m. to 3 p.m. daily, 1868 serves up mouth-watering meals with sizzling ingredients, including crawfish étouffée biscuits, jambalaya, pepper jelly boudin, homestyle seven-spice chili, and raspberry chipotle ice cream. If you can't make it to Avery Island any time soon, but are seeking spicy-sweet combinations or tantalizingly hot recipes right now, Tabasco provides some great, categorized recipe options on its website. And for your added convenience, here are four other savory recipes to make at home that are guaranteed to make you sweat in the best way possible. Grandma's old traditional meatball recipe just got a makeover from Foodie Crush. These meaty marvels pack a toe-curling, tongue-tingling taste in a tiny bite. Butter may not be the first thing that comes to mind when you think of fish toppings, but with Big Girls Small Kitchen's zesty edition of the creamy condiment, you'll be slathering it all over everything. You won't find The Kitchn's tangy drink at some kid's makeshift lemonade stand on the playground. It's a cocktail spiked with rum, vodka, and hot sauce for a feisty flair. Who doesn't love an added kick in their chocolate? I Am A Food Blog's dessert recipe combines elements of both sweet and heat for a simple, yet satisfying dessert.